Comic Frontline: Saban's Go Go Power Rangers: Forever Rangers #1 From BOOM! Studios! 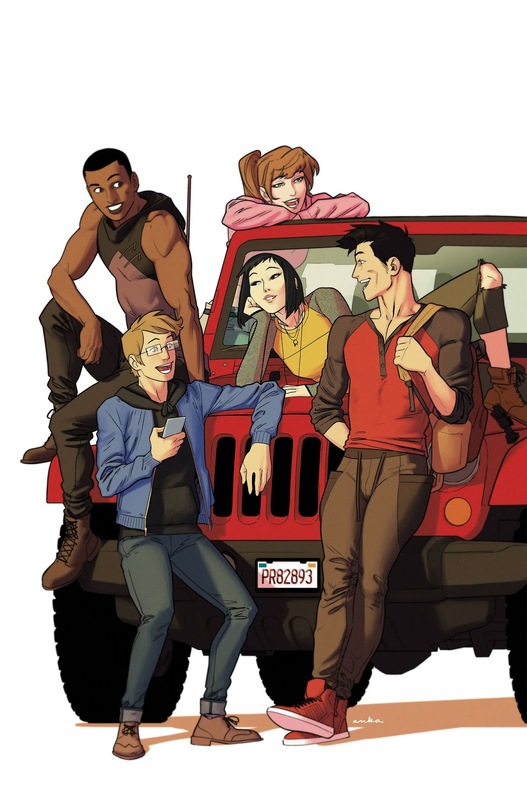 Saban's Go Go Power Rangers: Forever Rangers #1 From BOOM! Studios! BOOM! Studios, under license by Hasbro, Inc. (NASDAQ: HAS), today announced SABAN’S GO GO POWER RANGERS: FOREVER RANGERS #1, a brand new oversized special from writer Ryan Parrott (Mighty Morphin Power Rangers) and artists Eleonora Carlini (Batgirl) and Francesco Mortarino (Mighty Morphin Power Rangers) available in June 2019. Is this the end? Alpha One is bent on revenge against Zordon, his creator, and willing to destroy anyone who may stand in his way, including the Power Rangers! They summon every last bit of morphin power they’ve got to halt the deranged robot on his path of destruction and death. But when it looks as though their combined strength might not be enough to stop the murderous and hyper-charged Alpha One from laying waste to Angel Grove, the Power Rangers must reach deep and ask themselves just how far they are willing to go to save Zordon, Angel Grove, and the rest of humanity from Alpha One’s plans. SABAN’S GO GO POWER RANGERS: FOREVER RANGERS #1 features a main cover by Dan Mora (Buffy the Vampire Slayer, Once & Future), along with variant covers by acclaimed artist Kris Anka (Runaways, Captain Marvel) and fan favorite Gurihiru (The Unstoppable Wasp, Gwenpool). SABAN’S GO GO POWER RANGERS: FOREVER RANGERS #1 is the newest release from BOOM! 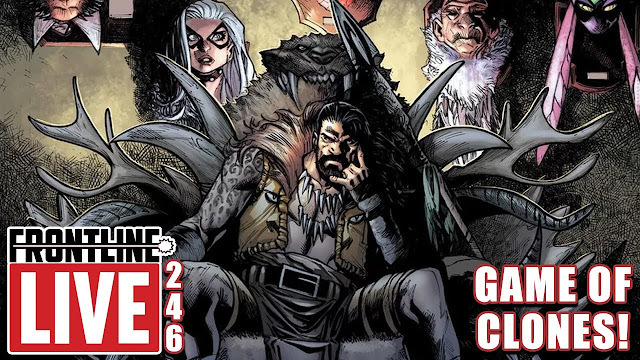 Studios’ eponymous imprint, home to critically acclaimed original series, including Abbott from Saladin Ahmed and Sami Kivelä; Bone Parish from Cullen Bunn and Jonas Scharf; Grass Kings from Matt Kindt and Tyler Jenkins; and Klaus from Grant Morrison and Dan Mora. The imprint is also home to popular licensed properties including Joss Whedon’s Firefly from Greg Pak and Dan McDaid and Buffy The Vampire Slayer from Jordie Bellaire and Dan Mora. Softcover collections of SABAN’S GO GO POWER RANGERS, Mighty Morphin Power Rangers and other Power Rangers releases from BOOM! Studios are available now, everywhere books are sold. Copies of SABAN’S GO GO POWER RANGERS: FOREVER RANGERS #1 will be available for sale on June 19, 2019, at local comic book shops or at the BOOM! Studios webstore. Digital copies can be purchased from content providers like comiXology, iBooks, Google Play, and the BOOM! Studios app. Currently, Power Rangers is entering its 26th continuous year on the air, making it one of the longest-running kids’ live-action series in television history with nearly 900 episodes aired to date. Created by Haim Saban and launched in 1993 with Mighty Morphin Power Rangers, the franchise continues now under Hasbro with the 26th season, Power Rangers Beast Morphers is currently airing on Saturdays, at 8:00 AM ET on Nickelodeon in the U.S.
BOOM! Studios Solicitations For August 2018 - Will The Grid Shatter?! BOOM! Studios Preview: Go, Go Power Rangers #10 - For Lord Drakkon! BOOM! Studios Solicitations For September 2018 - Beyond School! BOOM! Studios Preview: Go, Go Power Rangers #11 - Kim Vs. Kim! SDCC 2018: BOOM! Reveals Shattered Grid Collections Program! BOOM! Studios Preview: Saban's Go, Go Power Rangers #12 - Time To Slay! PMC 2018: Shattered Grid LIVE Reading Panel! PMC 2018: Shattered Grid & Beyond Panel Reveals Dark Ranger & Solar Ranger Introduced! BOOM! 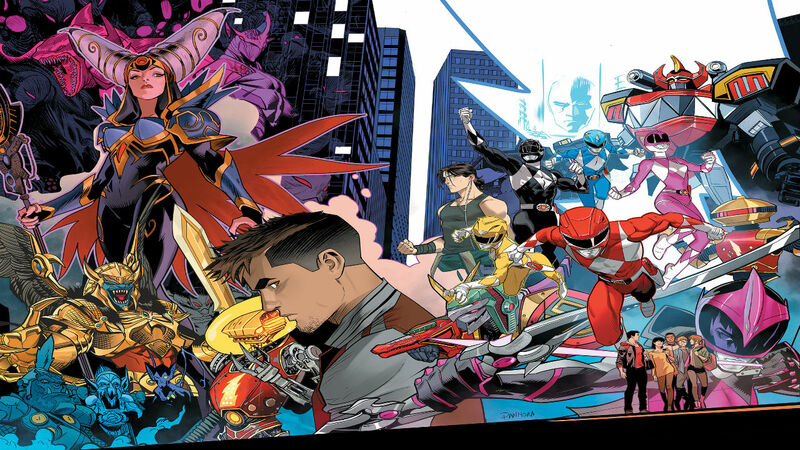 Studios First Look: Saban's GO, GO Power Rangers #13! BOOM! Studios Preview: Saban's GO, GO Power Rangers #13 - Picking Up The Pieces! BOOM! Studios Preview: Saban's GO, GO Power Rangers #14 - Inner Strength! BOOM! Studios Preview: Saban's GO, GO Power Rangers #15 - It's Complicated! BOOM! Studios Preview: Saban's GO, GO Power Rangers #16 - Loriyan, The First Green Ranger! BOOM! Studios Preview: Saban's GO, GO Power Rangers #17 - Zordon & Fienna! The Mighty Morphin Power Rangers Return…With The White Ranger! BOOM! Studios Solicitations For May 2019 - Or A Solicitation Thereof! BOOM! Studios Preview: Saban's GO, GO Power Rangers #18 - Reconnecting! BOOM! Studios Solicitations For June 2019 - Necessary Evil! To find a comic shop near you, visit Comic Shop Locator or call 1-888-Comic-Book. Let us know in the comments what you think of this BOOM! Studios GO, GO Power Rangers Review and don't forget to follow us on Twitter for the latest Previews, Reviews, News and Interviews!